Numerous magnificent monuments of the antique period, churches and monasteries, architectural complexes and museums remain the main attraction point for tourists in Syria. In the city of Aleppo it will be very interesting to visit an ancient fortress that is located on the main square. The fortress was built in the beginning of the 13th century; slowly more and more new buildings appeared near the fortress and in the end of the century it was already a big city instead of a small settlement. The fortress was a very important strategic point during the war with Mongolia. It successfully countered numerous attacks and managed to keep its original look. Nowadays, in the fort one can see old mosques, tombs, palaces and houses. The ancient city of Bosra is a very important archaeological landmark. During the prehistoric era there was a large city instead of modern Bosra. According to scientists, it was founded yet during the reign of Amenhotep. During the reign of the Roman Empire the city changed its name to Nova Trajana Bostra. For many years the city was the reason for military actions as it was located on the crossing of important trading routes. Later the city became the territory of the Byzantine Empire, so now it's possible to see architectural landmarks that belong to the three great epochs. 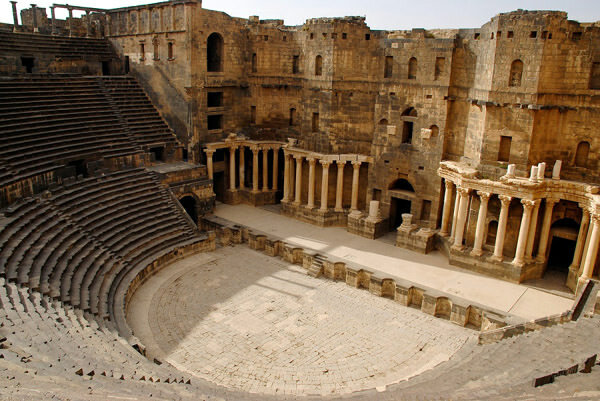 In Bosra you will find ruins of first Arabian temples, an ancient Roman theatre and Byzantine churches. Palmyra remains one of the most beautiful settlements in the country. 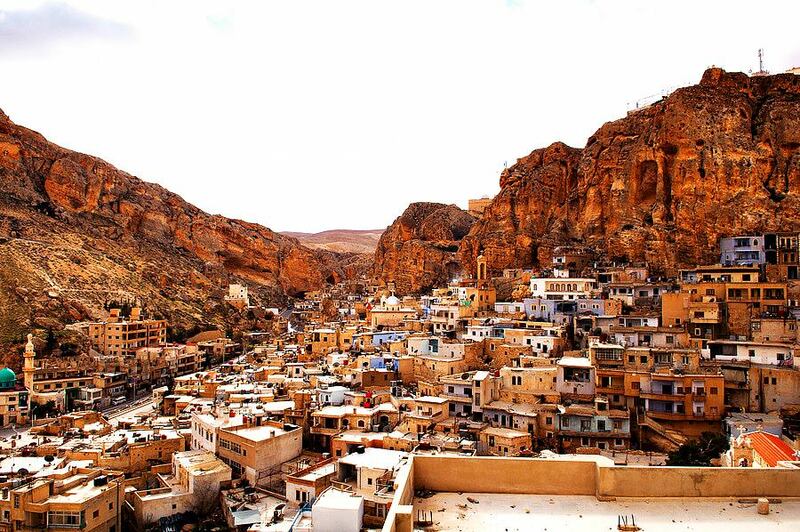 According to the Bible, this ancient city was founded by Solomon himself. Nowadays, ruins of Roman palaces and forums remind of the glorious past of Palmyra. Besides important historical landmarks, Palmyra is distinguished by magnificent nature as it was built in oasis in the desert. As the settlement is very popular with travelers, modern hotels started appearing near Palmyra, so a vacation there will be not only interesting but also comfortable. 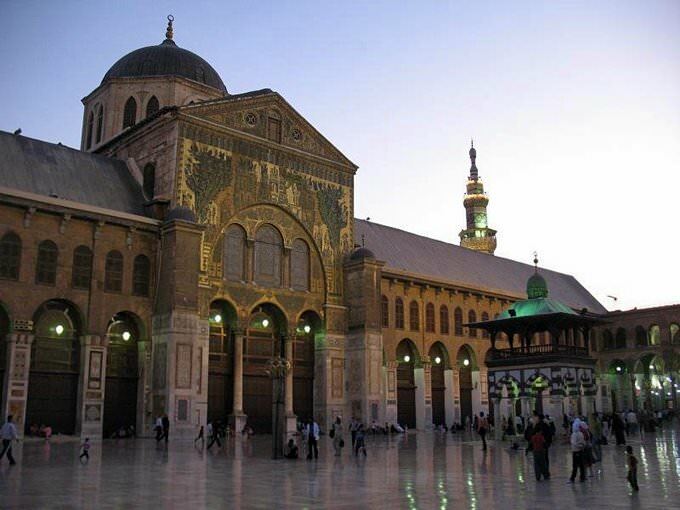 Tourists come to Syria not only for walking along the Bible places and seeing famous attractions. Shopping enthusiasts love being here too and are attracted by colorful markets. There are such markets almost in all cities. 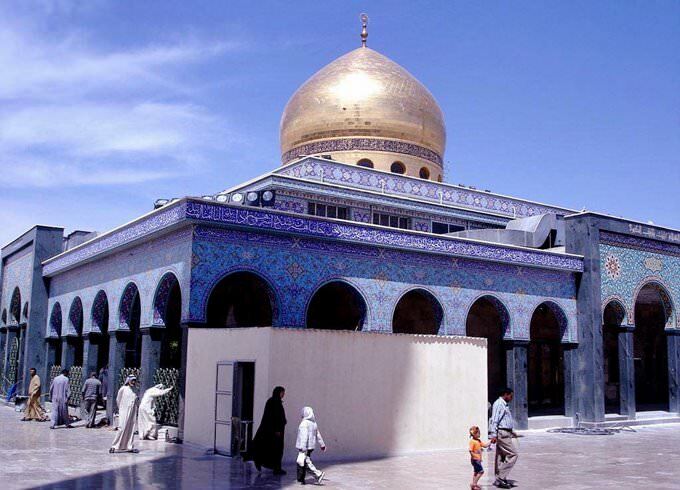 The largest of them are located in Damascus and Aleppo. When walking along market rows, you can buy beautiful golden and silver jewels, luxurious silk scarves and clothes in national style, fragrant spices, and craft items. Local craftsmen create amazing wooden items. Syria is notable for the production of shoes and accessories of genuine leather. Many tourists come to market to buy popular national sweets and high-quality olive oil. All shopping enthusiasts should definitely remember that it is accustomed to bargaining in Syria, and not only on markets, but also in private shops. The national cuisine of Syria has a lot of interesting features too. Here, you can taste popular national dishes not only at restaurants, but also on the market. The guests of national restaurants will be offered to taste different lamb dishes. In street stalls, you can buy fresh kebabs. The traditional national dish is pilaf, to which raisins are added. At the restaurants, different sorts of kebabs are served. Syria is famous for its exquisite sweets, most of which have been prepared according to the old recipes for many hundred years. The world-famous sweet is sherbet and baklava. Connoisseurs of more original desserts will definitely like kunafa. This dessert is made of dough, to which fresh cheese, nuts, cream and sweet syrup are added. The most popular drink here is coffee. You should never refuse a cup of this drink, as such behavior is a sort of mauvais ton. It is not surprising that some of the most popular souvenirs here are different accessories for making coffee. You can buy different sorts of coffee, ground or grain, in markets or special shops. It should be also noted that Syria is distinguished by quite a loyal attitude towards the selling and consumption of alcoholic beverages. You can drink at restaurants or in pubs but should not do this in other public places. 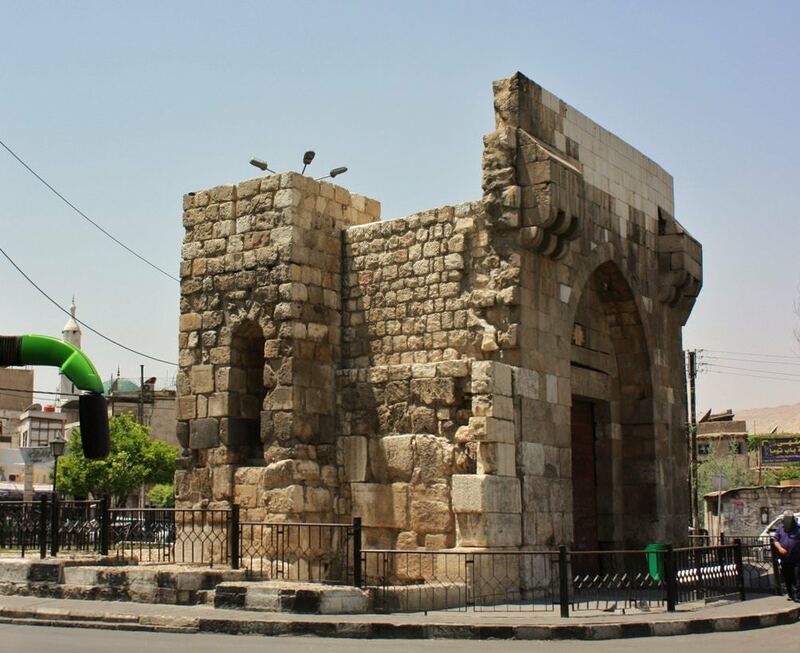 This article about iconic landmarks and sights of Syria is protected by the copyright law. You can re-use the content, but only under the condition of placement of an active link to www.orangesmile.com. Those who are interested in the history of the Christian culture are recommended to visit ancient settlements in Syria. Saidnaya and Maaloula are excellent examples of communities that were able to save not only the priceless Christian places of interest, but also a unique way of life. These small villages are very close to each other, so as part of the tour travelers usually visit them together. The main historical symbol of the Syrian city of Bosra is an ancient amphitheater, which was built in the 2nd century AD. The ancient amphitheater, designed for 15000 spectators, was built from black basalt, the most common building material for these places. The ancient arena, like many other similar structures, is distinguished by its unique acoustics. Despite its greatness, 200 years after the construction, the amphitheater began to lose its primary importance. 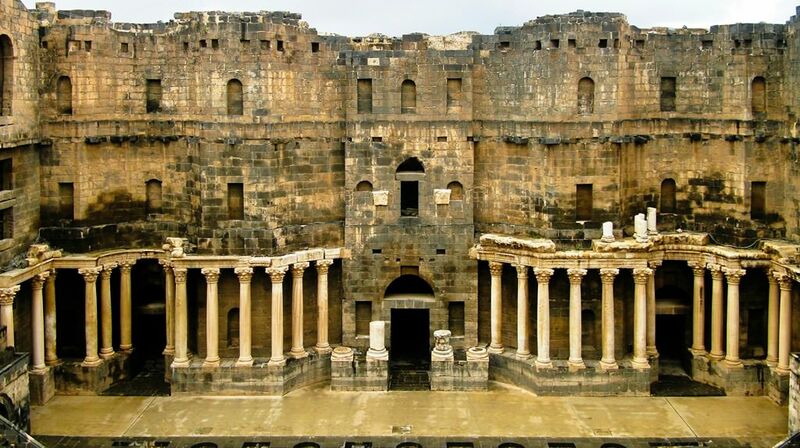 One of the oldest cities in the world can be found in Syria. 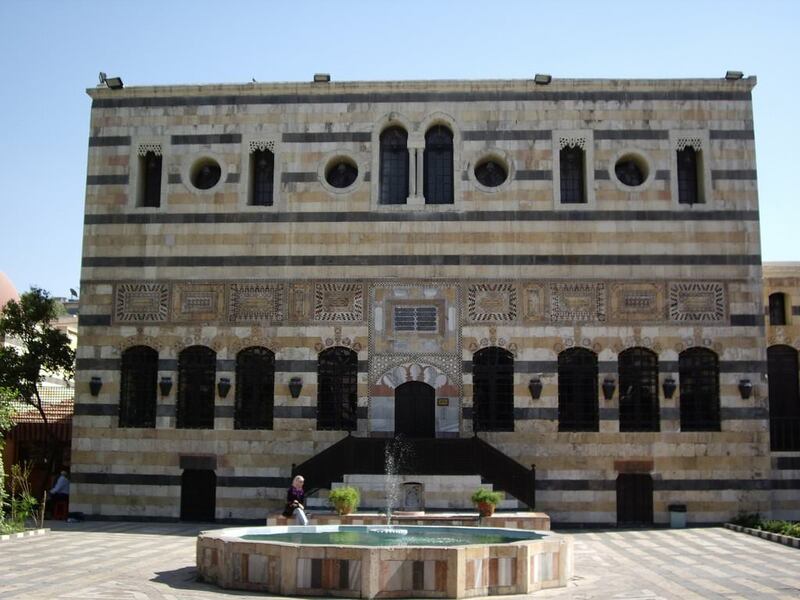 Damascus has gained worldwide fame through its interesting and culturally rich history. The age of archaeological artifacts discovered during exploration of the city is about 12,000 years. Those are evidences of first settlements. However, a major city was founded on the site of Damascus much later, in the 15th century BC. Aramean tribes are considered its founders. 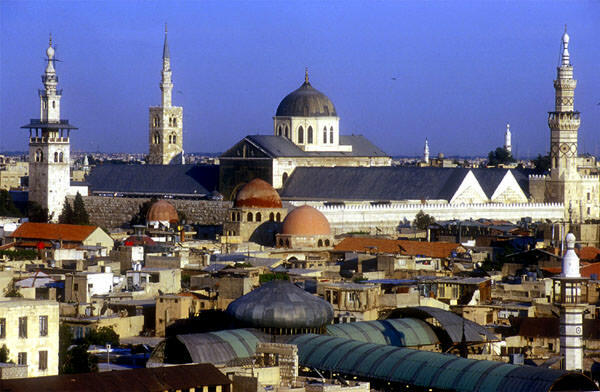 Modern Damascus is the capital of Syria, and the second most populous city in the country, standing on its territory is home to about 1.5 million people. The primary interest of tourists is Old Town surrounded by fortification walls, the construction of which took place during the reign of the Roman Empire.